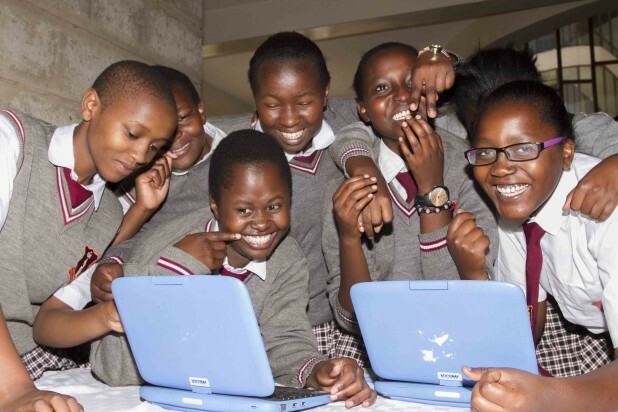 Intel Corporation has donated 30 computers worth Sh 1.5 million to boost ICT clubs in nine secondary schools located in various counties across Kenya and grow number of girls pursuing technical subjects. It has also trained and equipped teachers with necessary skills to start and run ICT clubs in 12 schools across Machakos, Nairobi, Kiambu and Kajiado counties as it moves to make a mark in contribution to the country’s education sector. The donation was made during this year’s International Women’s Day celebrations at Kenya Institute of Curriculum Development where Intel hosted over 100 girls from various secondary schools in an ICT Fair. Mark Matunga Intel’s Head of Corporate Affairs in East Africa said, few girls are pursuing studies in Science, Technology and Maths (STEM) subjects needed to gain the skills for careers in technology and engineering. Intel initiated the ICT clubs to inspire girls to pursue studies and careers in STEM. This initiative is part of the Intel® She Will Connect program which aims to reduce the Internet gender gap around the world, through an innovative combination of digital literacy training, an online peer network, and gender-relevant content. There are 25percent fewer women than men online. In Sub-Saharan Africa, the size of the gap is 43percent, the largest in regions studied. “We believe that this initiative will go a long way in closing the Internet gender gap and has an important multiplier effect of expanding opportunities for families, communities and nations”, said Matunga.